Grindley and Grindley is a CPA firm located in Seymour, Ind. The firm is located in a historic building that also houses an Edward Jones Investment office and a Beavers Pharmacy. 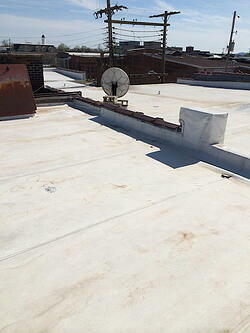 The building had a Duro-Last rubberized roofing system installed 15 years ago, but its warranty had expired. Grindley and Grindley, as well as the other tenants, wanted to take preventative measures before the roof failed and caused costly water damage. To do that, Grindley and Grindley needed a Duro-Last contractor that could quickly and efficiently repair the flat roof. That’s when they called Exterior Pro Roofing. During our inspection of the building, we identified small holes that were causing small leaks. We notified the building tenants of the problem and fixed the leaks as the project contract was being signed. This removed the risk of water damage occurring as we waited for the new roofing materials to arrive. This job called for a new 40-mil. membrane to be laid over the existing roof, and the building owner was pleased with the previous Duro-Last roof so they wanted another. To effectively install the new membrane on the flat roof, Exterior Pro used a separator sheet that fit in between the old and new Duro-Last products. The new 40-mil. 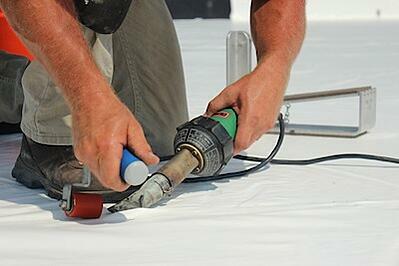 Duro-Last membrane was laid over the flat roof and installed without any complications. The entire job took only 3 days with no interruption to the daily operations of the businesses. With Exterior Pro Roofing’s expertise and Duro-Last’s reliability, the roof was quickly installed to prevent any damage. 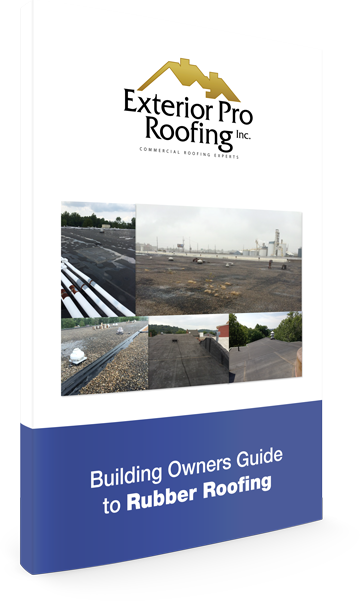 As a result, Grindley and Grindley, as well as the other tenants, no longer have to worry about their flat roof—thanks to Exterior Pro Roofing and Duro-Last.